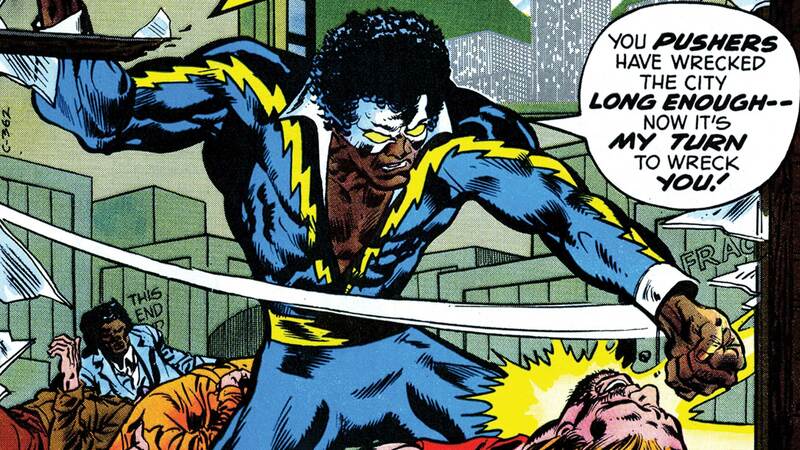 BLACK LIGHTNING cover by Frank Springer, Richard J Buckler Sr.
With the power to generate electricity from within, Jefferson Pierce adopts the secret identity of Black Lightning! But it will take all of his abilities to protect his Metropolis neighborhood of Suicide Slum from those that seek to destroy it. With guest appearances from Superman and more, this new title collects issues #1-11 from the 1970s series, plus a story from CANCELLED COMICS CAVALCADE. Cover by: Frank Springer, Richard J Buckler Sr.